Benjamin Lees, an iconoclastic American composer who spurned modern musical trends in favor of work that was lyrical, tonal and widely described as approachable, died on May 31 in Glen Cove, on Long Island. He was 86 and had recently returned to the New York area after living in Palm Springs, Calif., for many years. The cause was heart failure, his daughter, Jan Rexon, said. 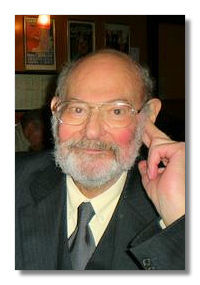 Mr. Lees was previously a longtime resident of Great Neck, N.Y. 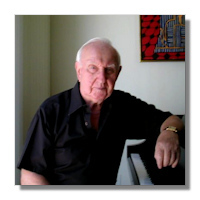 Known for his versatility, Mr. Lees wrote for symphony orchestra, solo instruments, voice and chamber ensembles. After coming to prominence in the 1950s, he received commissions from major American orchestras; his solo and chamber works were given premieres by distinguished artists like the pianist Gary Graffman, the violinist Ruggiero Ricci and the Budapest and Tokyo String Quartets. 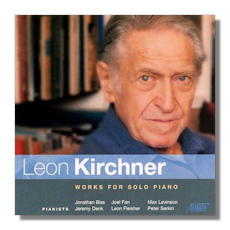 Leon Kirchner, the eminent American composer who was also a pianist, a conductor and an influential teacher, died on Thursday at his home on Central Park West in Manhattan. He was 90. The cause was congestive heart failure, said his daughter, Lisa Kirchner. Mr. Kirchner’s early music was strongly influenced by Bartók and Stravinsky. But a formative experience studying at the University of California, Los Angeles, with Arnold Schoenberg, the towering Austrian composer and pioneer of the 12-tone technique, set Mr. Kirchner on a lifelong creative path. Although he came to identify completely with the aesthetic of Schoenberg, Berg and Webern, he was an instinctive composer who never adopted the rigorous procedures of 12-tone composition. Nicholas Maw, a British composer best known for a sumptuous Violin Concerto he composed for Joshua Bell and a powerfully emotional opera based on William Styron's 1979 novel "Sophie's Choice," died on Tuesday at his home in Washington. He was 73. Norman Ryan, the New York representative for Faber Music, Mr. Maw's publisher, said the cause of death was heart failure, with complications of diabetes and dementia. Mr. Maw composed "Sophie's Choice" over six years, mostly at his home in Lot, France, after watching the film version on video. He said he was moved by the story, told through the eyes of a young aspiring writer from the South, about a Polish Catholic survivor of Auschwitz and her brilliant but troubled Jewish lover in postwar Brooklyn. The opera had its premiere at Covent Garden in London in 2002. 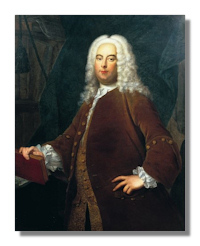 Handel "was binge eater and problem drinker"
George Frideric Handel was a binge eater and problem drinker whose gargantuan appetites resulted in lead poisoning that eventually killed him, according to a study. By the time of his death 250 years ago this month, aged 74, the composer of Messiah had for 20 years been fighting severe health problems, including blindness, gout, bouts of paralysis and confused speech. According to David Hunter, music librarian at the University of Texas and author of more than 60 articles on Handel, these ailments were all linked to lead poisoning brought on by his notoriously heavy consumption of rich foods and alcohol. Lukas Foss, a prolific and versatile composer who was also a respected pianist and conductor, died at his home in Manhattan on Sunday. He was 86, and also had a home in Bridgehampton, N.Y. His wife, Cornelia, announced his death. 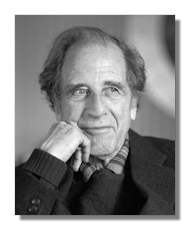 Although he was a German émigré, Mr. Foss was, from the start of his composing career, considered an important voice in the burgeoning world of American composition, along with Aaron Copland, Samuel Barber, Elliott Carter and Leonard Bernstein. And like Bernstein, he enthusiastically championed the works of his colleagues. But where Bernstein, in his compositions, melded jazz and theater music with a lush symphonic neo-Romanticism – or wrote theater music outright – Mr. Foss preferred to explore the byways of the avant-garde, focusing at different times on techniques from serialism and electronic music to Minimalism and improvisation. But as he moved from style to style, his voice remained distinctive, partly because he distrusted rules and never fully adhered to those of the approaches he adopted, and partly because a current of mercurial wit ran through his work. Chinese melodies meet Stravinsky in the music of Bright Sheng, recipient of a 2001 MacArthur Foundation "genius" grant. Sheng's first harp concerto, "Never Far Away," will be given its world premiere by the San Diego Symphony with harpist Yolanda Kondonassis next weekend. For the symphony's music director, Jahja Ling, "The wonderful thing about his compositions (is) he is able to fuse the Western and Chinese musical language." What could be more appropriate, in the age of the Beijing Olympics and global Internet culture, than musical dialogues between East and West? 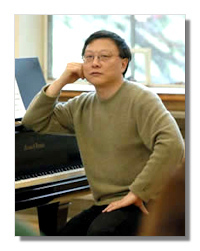 In fact, Sheng is one of several prominent Chinese-American composers – along with Tan Dun, Chen Yi and Zhou Long – who mix elements of Chinese and Western music. Mauricio Kagel, an avant-garde composer whose often absurdist works blurred the boundaries between music, theater and film, died on Wednesday in Cologne, Germany. He was 76. 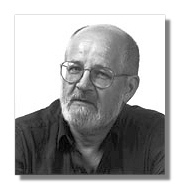 His death was announced by his music publishing house, C.F. Peters Musikverlag. No cause was given. By temperament a dadaist and provocateur, Mr. Kagel drew on the musical examples of composers like John Cage and Karlheinz Stockhausen. In "Anagrama," a work from the 1950s, singers and instrumentalists were called on to emit notes, squeaks, whispers and shouts corresponding to an elaborate system derived from the letters in a Latin palindrome. SANTA FE, N.M. – Contemporary composers looking for an easy way to create a big effect often turn to what could be called the orchestral pileup technique. Want to wallop your audience? Just add pummeling percussion, thick chords and more to create a barrage of noise. Or if the desired effect is ruminative, then lay on hazy harmonies and doodling melodic bits, though the result can sound like the mindless music a massage therapist employs to get clients to relax. 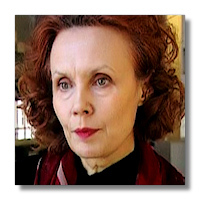 Something like the pileup technique is a basic component in the music of the Finnish composer Kaija Saariaho. But Ms. Saariaho uses it with ravishing subtlety and to haunting effect, as was clear from Wednesday night's performance of "Adriana Mater" here at the Santa Fe Opera. The production is the American premiere of this 2006 work, directed by Peter Sellars. Ms. Saariaho is not a mere purveyor of coloristic orchestral effects. She spent formative years working at Ircam, the center for experimental music in Paris, where she has lived since 1992. She immersed herself in the school of French composers who practice spectralism, which isolates the higher overtones of pitch to create sonorities at once amorphous yet elemental. She has one of the most acute ears in contemporary music. And during long stretches of this bleakly humane opera, elegiac vocal lines spin out over the thick-textured, nervously undulant orchestra. Striking details in this multilayered music come through with uncanny clarity. After 35 years immersed in the world of computer music, the composer Paul Lansky talks with wonder about the enormous capacities of primitive objects carved from trees or stamped from metal sheets: violins, cellos, trumpets, pianos. "To create the sound of a violin – wow!" he said in a recent interview. "I can't do that on a computer." Mr. Lansky has written a new chapter, or at least a fat footnote, in the annals of artistic reinvention. 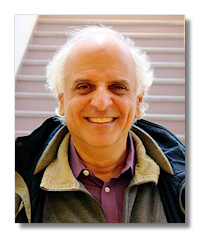 A professor at Princeton, he was a pioneering figure in the computer music field and wrote one of its important programs, Cmix. (He also earned a place of honor with Radiohead fans when the band used an excerpt from an early piece.) But Mr. Lansky has abandoned the art form that made his name and has turned to more traditional composition. "I hate to say this, but I think I'm done," Mr. Lansky said. "Basically I've said what I've had to say. Here I am, 64, and I find myself at what feels like the beginning of a career. I'm interested in writing for real people at this point." The long voyage is nearly over, and the great ship is at last approaching land. But we are not quite yet in harbour; for Henry-Louis de La Grange's revision of Gustav Mahler: Volume One still awaits translation into English. Then the labours of a dedicated lifetime may be at an end. Meanwhile, we have here, at over 1,750 pages, the longest of the four volumes, and in every way the climactic one. So much in it is new, or newly re-explored, or freshly and radically re-interpreted. The portrait that emerges is surprising because it is so straightforward: that of a great conductor at the height of his powers and a great composer striking out boldly into new territory. What has previously been obscured and diminished by mythmaking, melodrama and malice is now at last given its full stature. That this new depiction is the underlying intention of the author is made quite clear from the first page: to realize how well he has succeeded, it is necessary to read the whole book. 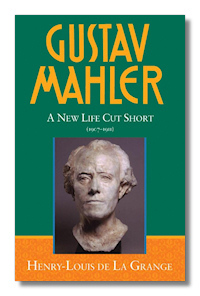 But this is not just a biography: it is more of a Mahler-Lexicon, almost a history of the age. De La Grange has found himself irresistibly drawn down every avenue that offers itself, and his interests are wide. By the time one has read through all thirty-three of the Appendices, and has discovered in the last one the recipe for Mahler's favourite dessert (Marillonknödel – and it sounds delicious), one feels not only triumphant but replete.